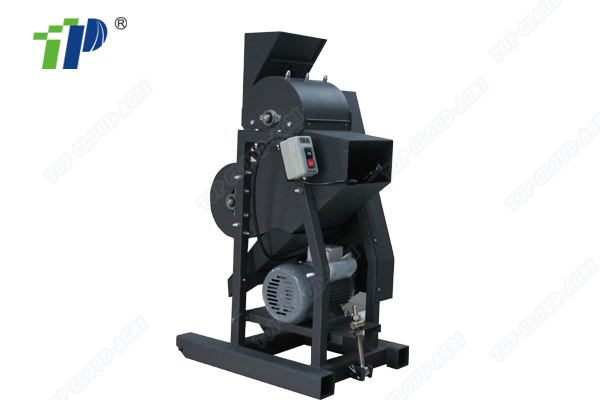 The Grain divider is gravity operated. 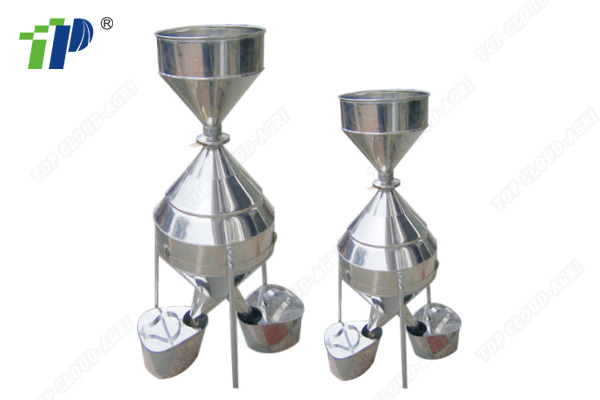 Sample is placed in the hopper and released by moving a slide gate located in the hopper throat. The grain, after initial separation, is rejoined into two chutes which empty out of the bottom hopper. 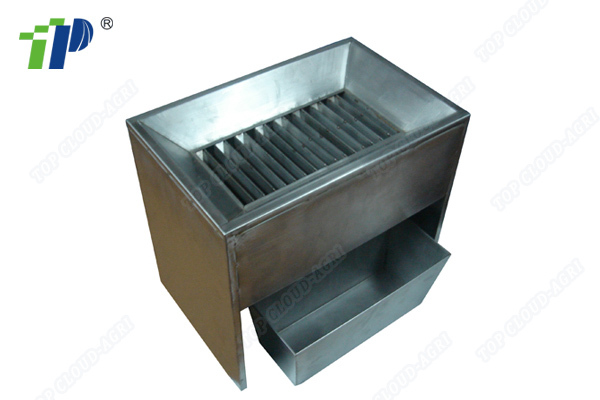 A divider is supplied complete with two brass pans with handles for easy transport of divided samples. 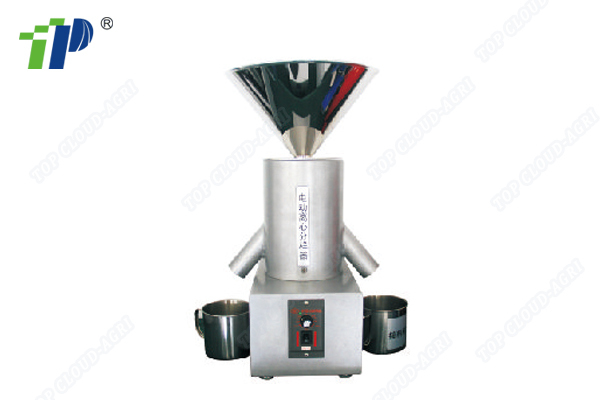 The divider can be converted to a larger capacity divider with a top hopper and leg extension kit. Hopper is spun copper and the leg extensions are painted steel.